I am a monk, a resident of Radhagopinath Ashram in Mumbai. 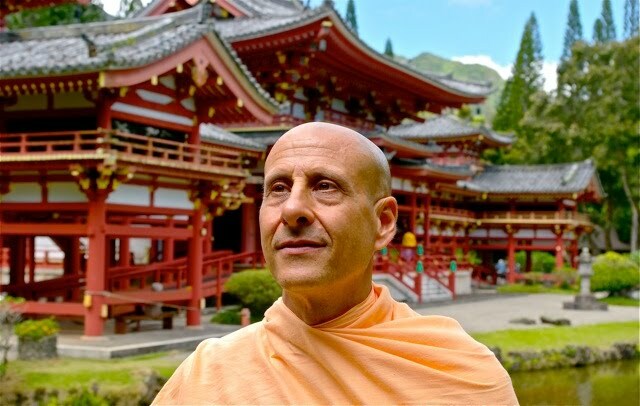 About six months ago, my good friend Pratik Kappor came up with the idea of a website that could present spiritual paradigms of leadership, based on the teachings of Radhanath Swami, for the benefit of the world. That sounded appealing, and I immediately volunteered to take care of the technical aspect. Together, the two of us then gathered some good hearted volunteers and went about generating the content. Today, when we look back, we feel impelled to share a realization with all you folks. While generating the content, we ourselves were overwhelmed by the wealth of information that confronted us. So friends, be prepared; now it’s your turn. And of course, this site is totally free. If you are happy with us, tell your friends, like us on Facebook and +1 us on Google+. Thank you.